Cream Marble sink carved from cream marble. This vanity sink is a stunning addition to any bathroom or powder room. All of our marble sinks are priced low. Call today for a free quote on a marble sink of your choice. 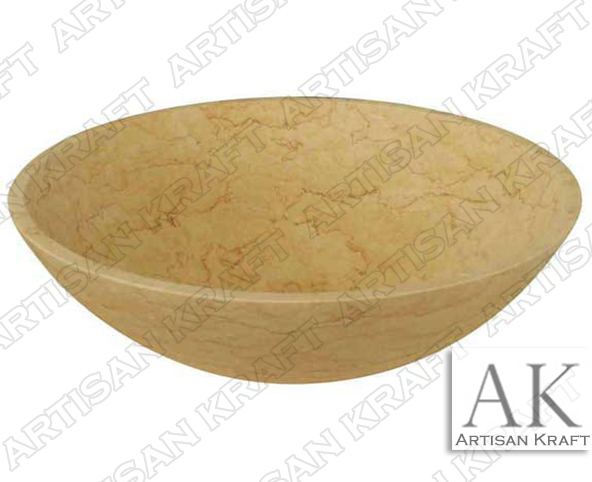 This marble sink can also be made from limestone and travertine as well as other marbles.